A fast food (sorry, that’s fan food) restaurant chain’s current advertising campaign cites its ice cream products as the reason we have summer. Oh, and also minivans with sliding roof panels. There is no dispute that the snacks offered by this chain and others like it are just the thing on these warm nights, but there is, or was, an institution that made being out of the house and among other folks on a summer’s eve a lot of fun. We’re talking about the drive-in, the open-air cinema experience made all the more attractive to families thanks to admission price, music, a program of entertainment (cartoons, short films, coming attractions, etc.) prior to the big feature and all of it unreeled on a screen even bigger than the one found at your local bijou. All you had to do was drive up to a parking space and attach a speaker to the driver’s side window for sound while you enjoyed the flick from the comfort of your own vehicle. Now that was a summer ritual nobody seemed to tire of, until the advent of multiplex theaters and videos viewed in the home led to the disappearance of drive-ins from the landscape, despite their being a fixture of the American scene since the 1930s. But it’s a safe bet that if a drive-in was still operating in this area, it’d still being doing business because it offered a communal experience for those who attended. Prior to the new century, anyone attending the Kanauga Drive-In (or those that once operated in Mason and other locations) would probably see their neighbors there as well. However, the custom was to back the car or van into the space rather than have it face the screen. That allowed, especially if you had a station wagon, for a family to break out the lawn chairs they brought with them, set them up for optimal viewing of the movie and use the rear fold-down gate of the wagon (or truck, or car trunk) as a holding area for popcorn and other consumables, either from the on-site snack bar or out of your own ice chest. While awaiting the feature of the week or the onset of darkness, people socialized with others and generally made it an evening out. From my own experience, I think the first flick I saw at the Kanauga was 1981’s “The Night the Lights Went Out in Georgia” starring Kristy McNichol and Mark Hamill, while I definitely know the last was with my wife Beth in 2000 for “What Lies Beneath” with Harrison Ford and Michelle Pfeiffer. I only returned four years later when the drive-in served as an ideal site for a concert by country star Trace Adkins (and yes, Merle Haggard had appeared there two weeks earlier). A few years ago a Facebook friend posted a photo of a real find — a poster advertising all of the current and upcoming movies the Kanauga would be showing. Judging by the titles, I placed the poster as a 1953 schedule of first- and second-run flicks, such as “Down Among the Sheltering Palms” with William Lundigan and Jane Greer. To my delight, among the “coming soon” entries was “Jalopy” featuring Leo Gorcey, Huntz Hall and The Bowery Boys, whose nearly 50 films released from 1946 to 1958 were popular on television for years afterward. Those of an earlier generation, like my onetime boss Hobart Wilson Jr., know of which I speak; I won’t bore you with the other details. The drive-in habit had been instilled in me early. I didn’t care if it was there or in a “hard-top” (trade slang for an indoor theater), it was just a thrill to go to the movies. Now, having a camp-out was probably discouraged by management of the open-air screen in Middletown, N.Y., nearest my home, but we didn’t always attend the drive-in in the summer months. Sometimes it was in autumn before closing up for the year. It was then and there that my father, who had reached the point where he wouldn’t spend a nickel to see anything he couldn’t catch on the tube, did take us to see George C. Scott’s “Patton” during its original run in 1970. His World War II artillery unit having been under Gen. George S. Patton’s command, Dad was interested in how the free-wheeling tactician would be portrayed. Scott’s Oscar-winning performance as Best Actor of the year was famously rejected by Scott the following spring. The UPI photo of the statuette being accepted on Scott’s behalf by his saluting co-star Karl Malden graced the front page of our local newspaper the next morning. On the whole, we were more into drive-in attendance in the mid-’60s. People sometimes don’t remember what they saw there, but such epics of 1964-1965 as “The Long Ships,” “The Train,” “The Satan Bug” and The Beatles’ “Help!” have lingered in my memory. Because, perhaps, like the magic carpet cinema is, those movies took an 8-year-old and his imagination to places he’d never been and so far in life hasn’t, but have provided at least a nodding acquaintance. Hopefully, the experience was the same for patrons of the local drive-in, as described in an award-winning Sunday T-S feature by our staffer Jill Williams Bohn back in the mid-’90s. The drive-in my be a thing of the past, but the memories it created for young and old are too special to forget. Especially if you were lucky enough to go in the summer. 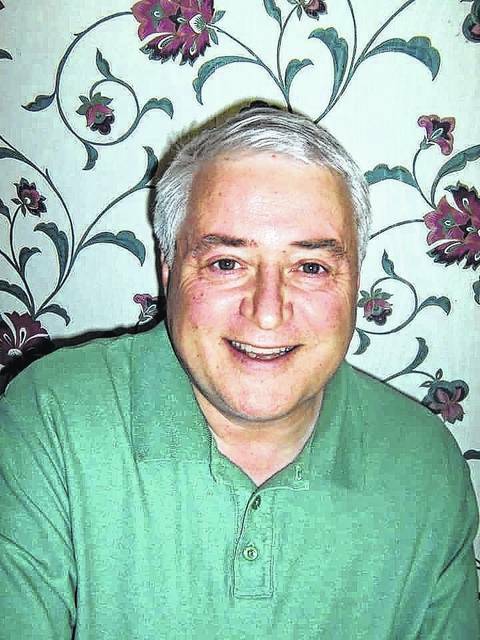 Kevin Kelly, who was affiliated with Ohio Valley Publishing for 21 years, resides in Vinton, Ohio.